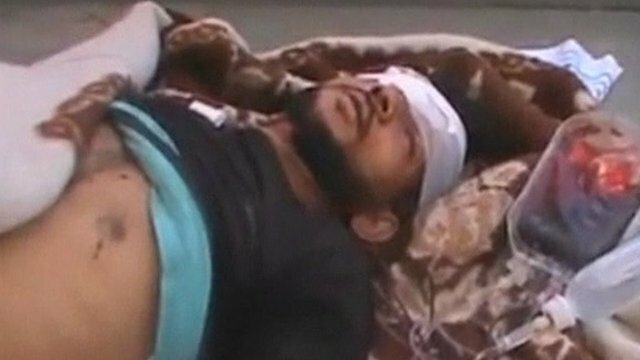 Thousands of Syrians have been killed and injured in the escalating violence that is now threatening to tear the country apart. Since the uprising against the rule of President Bashar al-Assad began in March 2011, there have been almost daily reports of deaths. Among these, eight major incidents stand out as particularly violent episodes. Explore the map below to find out more. The Syrian government claimed "armed criminal gangs" killed 120 soldiers in the north-western town of Jisr al-Shughour in June last year. Investigations suggested protesters, fired on during a funeral, had attacked security forces, but that some soldiers may also have been killed when they refused to shoot demonstrators. Click play to see footage of women fleeing the town. 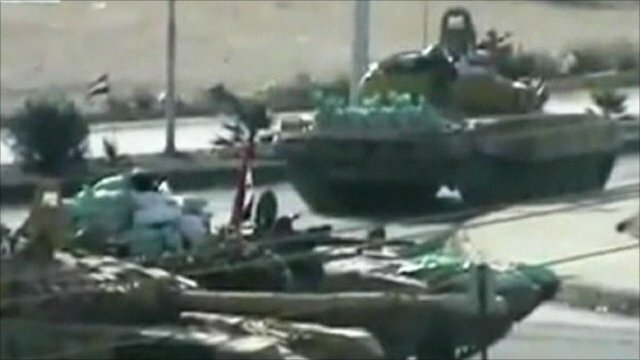 As the crackdown on anti-government protests intensified, tanks moved into the city of Hama at dawn, firing on civilians. Activists said as many 130 people were killed. US President Barack Obama said he was appalled by the Syrian government&apos;s use of "violence and brutality against its own people". Click play to watch amateur video from the scene. About 70 soldiers who had fled their positions were mown down by machine-guns in villages around Jabal al-Zawiya, Idlib province, on 19 December 2011, according to opposition and human rights activists. On 20 December, government forces backed by tanks reportedly launched an operation to hunt down any defectors who managed to escape. They reportedly fired on civilians trying to flee to nearby woods out of fear of detention. 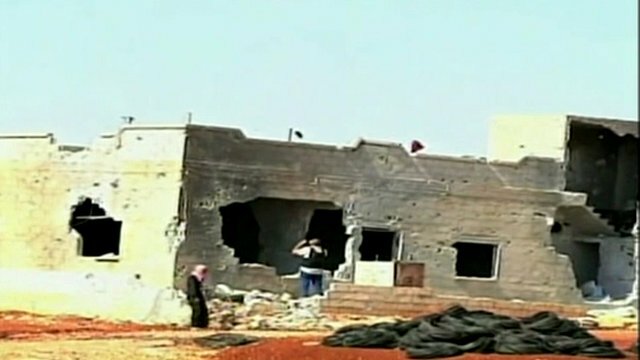 The Syrian Observatory for Human Rights said at least 111 were killed in an "organised massacre". Syrian forces began shelling opposition-held districts of the city of Homs, particularly Baba Amr, in February in what was to become a month-long bombardment. Opposition and human rights activists estimated that 700 people died. The BBC&apos;s Paul Wood, in Homs with fighters from the Free Syrian Army, said the city was under siege. Click play to hear from Homs resident Sami Ibrahim. The bodies of 45 people, mostly women and children, were found in the Karm el-Zeytoun area of Homs in March. Most had their throats cut or had stab wounds. Human rights groups said they had been killed by pro-government militiamen. However, Syrian state news blamed "terrorist gangs" who it said were trying to discredit Syrian forces. Click play to watch Jon Donnison&apos;s report. The village of Taldou, in the Houla area of Homs province, witnessed one of the uprising&apos;s worst massacres. UN observers confirmed 108 people were killed, including 49 children and 34 women. The majority were shot dead. The government blamed "terrorists", but survivors and human rights groups pointed the finger pro-government militiamen, who they said were sent in after the army had shelled the village. At least 78 people, many women and children, were killed in the village of Qubair in Hama province in June, according to activists. Most were reportedly stabbed and shot and activists blamed government-backed militia. The government, meanwhile, said "terrorists" carried out the killings and claimed only nine died. Click play to see Paul Danahar&apos;s report from the scene. 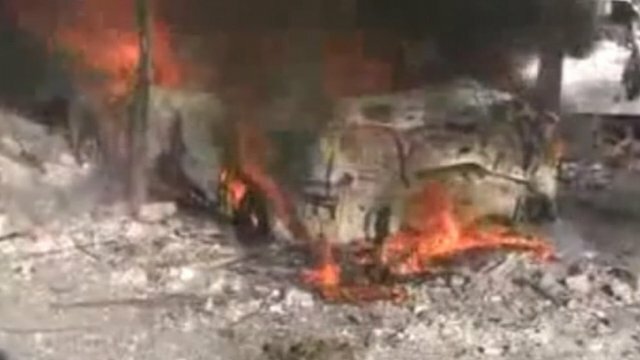 Opposition activists say at least 220 people are reported to have died in an attack on the village of Tremseh in Hama province. Witnesses say Syrian forces attacked with helicopter gunships and tanks, before pro-government shabiha militiamen carried out execution-style killings. State media disputed the claims, saying "armed terrorist groups" had killed 50 people in the village.